We’re often told that you should never eat anything if you don’t recognize everything on the ingredients list. But since most of us have no idea what xanthan gum or potassium benzoate are — or more importantly, what they’re doing to our bodies — we’re decoding the ingredients in America’s favorite snacks with the help of a food scientist. This edition: Doritos Nacho Cheese Tortilla Chips. All told, there are 26 separate ingredients in Doritos Nacho Cheese Flavored Tortilla Chips, which we’ve broken down in the exact order they appear on the package — in this case the small(ish) bag made for lunch boxes. 1) Corn: To create the actual tortilla chip, raw yellow corn kernels are soaked in large vats of near-boiling water, where they’re combined with lime (the chemical, not the fruit). While lime’s main purpose is loosening the husks and making them easier to remove, it also injects a bit of calcium into the corn and releases niacin (vitamin B3), which is known to improve cholesterol levels and lower cardiovascular risks. Once the husks and any excess lime have been washed away, the now-hydrated corn is ground into a corn flour called masa, pressed into that famous Dorito shape and fried in vegetable oil. As a result, consuming too much vegetable oil—which is easy to do considering roughly 45 percent of the average American’s calories come from refined oils, according to Deep Nutrition—can result in fatty liver disease, insulin resistance and migraines. It’s important to point out, though, that Shanahan is talking about a very heavily vegetable-oil-laden diet — and decades’ worth of it at that. In other words, hoofing down a small bag of Doritos isn’t going to ruin your sperm. 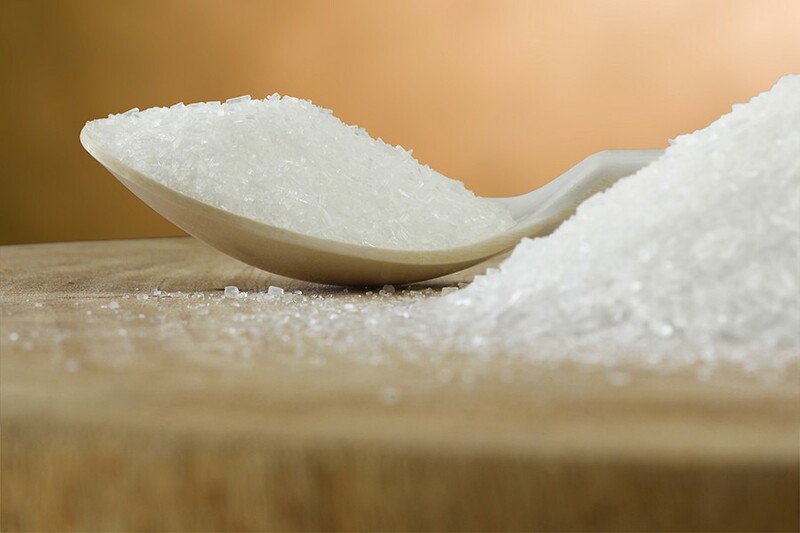 3) Maltodextrin (made from corn): An artificial sugar made from maltose (aka malt sugar) and dextrose (see below), Maltodextrin is usually used as a thickener or filler ingredient to add bulk to processed food and to increase its shelf life — maltodextrin itself has a shelf life of two years. “It’s basically just a variation on table sugar,” Shanahan says. 4) Salt: Chips wouldn’t be chips without salt, right? 5) Cheddar Cheese (milk, cheese cultures, salt, enzymes): The bread-and-butter of nacho-flavored Doritos, this cheddar cheese isn’t any different from your average processed cheeses, despite containing suspicious-sounding ingredients like “cheese cultures” and “enzymes.” “Starter cultures and enzymes are just used to accelerate the process of coagulating milk into cheese,” Shanahan explains. “Pretty much all cheese is made using some kind of enzyme to speed up the fermentation process.” That means the only thing to worry about with this cheddar cheese is that it’ll stain your fingers orange. 6) Whey: Whey is essentially the liquid leftovers after milk has been curdled and strained. It’s usually added to processed foods as a source of protein and to add bulk. 7) Monosodium Glutamate: Better known as MSG, monosodium glutamate is a naturally occurring amino acid (one of the building blocks of protein) that’s added to foods as a savory flavor enhancer. 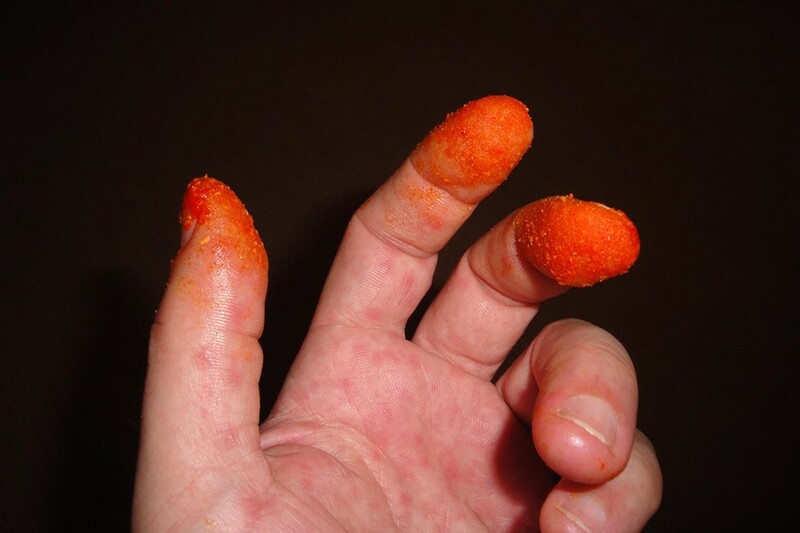 While it has a reputation for causing insatiable hunger, the food industry has no problem using it because it occurs in nature. And while Shanahan sort of agrees, there’s some room for worry. “Eating MSG without a high-protein ingredient in the food is a huge blast of MSG all at once, and some people are very sensitive to that,” she explains. “They’ll get headaches and some people who get seizures say they’ll get a seizure aura [that is, the feeling you get right before you experience a seizure].” Researchers, however, haven’t come to any decisive conclusions about the effects of MSG. 8) Buttermilk: Similar to whey, buttermilk is the byproduct of churning butter out of cream and is usually added to processed foods like Doritos as a means of adding heartiness and oftentimes a sort of creamy texture (though, that’s not so much the case for Doritos). 9) Romano Cheese (part-skim cow’s milk, cheese cultures, salt, enzymes): As far as process goes, this cheese goes through the same thing as the cheddar cheese mentioned above. 10) Whey Protein Concentrate: Whey protein concentrate is usually added to processed cheese — e.g., cheddar and romano cheeses — because studies show it improves the body, texture and spreadability of the cheese. 11) Onion Powder: This is an easy one — dehydrated, ground onion used for flavoring. 12) Corn Flour: Corn flour (aka corn starch) is extracted from the corn kernels through a similar method to the masa production described above. It’s typically used as a batter to give fried foods a light and crispy texture. 14) Dextrose: Dextrose is more or less just another added sugar. 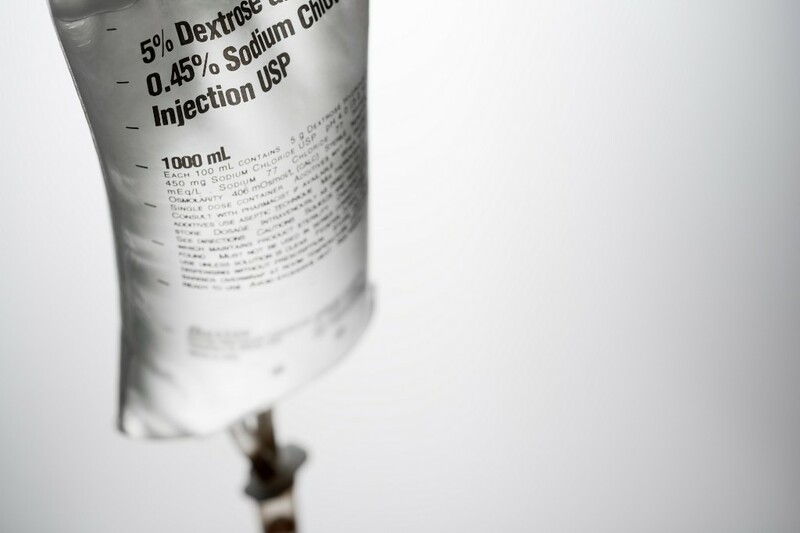 Interestingly enough, however, dextrose has a high glycemic index, which means it quickly raises blood sugar levels, so it’s used in IV solutions to treat low blood sugar and dehydration. People with diabetes might also use dextrose tablets to raise their blood sugar levels if they become dangerously low. 15) Tomato Powder: Another simple one — dehydrated, ground tomatoes. 16) Lactose: A dairy-derived sugar. 18) Artificial Color (including Yellow 6, Yellow 5 and Red 40): Similar to artificial flavors, artificial colors are created in a lab by chemists. Unfortunately, they’re known to be carcinogenic: “Because color molecules are a similar shape to some of our DNA structures, they’re able to make their way in there and cause issues,” Shanahan explains. “That said, I’ve always been of the opinion that studies claiming artificial colors can cause cancer are irrelevant because [in the studies] they use really high amounts of the artificial colors — like, a million times more than you’d ever get [in your] food [throughout your lifetime].” So the average person’s liver should be able to break down whatever minuscule amount of artificial coloring we consume with food. 19) Lactic Acid: Lactic acid is another sugar added for acidic flavoring. It’s the main sugar in milk and can also be used to speed up the coagulation process of cheeses. 20) Citric Acid: Citric acid is a sour flavoring agent derived from citrus and is often used to keep foods like Doritos fresh even if they’ve been sitting on the shelves for months at a time. 21) Sugar: Sugar is added for sweetness (duh). 22) Garlic Powder: Yep, you guessed it, just dehydrated, ground garlic. 23) Skim Milk: Skim milk is probably listed because it’s in the romano cheese. 24) Red and Green Bell Pepper Powder: More dehydrated veggies. 25) Disodium Inosinate: A savory flavor enhancer that’s almost always used in conjunction with MSG and disodium guanylate (see below). It’s a purine, meaning it’s one of the building blocks of DNA, and thus, it’s often derived from animal origin like beef, pork, poultry and fish — so if you’re a vegetarian or a vegan, be sure to avoid products containing disodium inosinate. 26) Disodium Guanylate: Used in conjunction with MSG and disodium inosinate, disodium guanylate has a savory taste that essentially allows manufacturers to increase the flavor of food without loading it with sodium. The risks of consuming too much of this stuff are more or less the same as with MSG — i.e., headaches and nausea. Again, though, Shanahan says there’s no reason to worry about these flavor enhancers as long as you consume them alongside some kind of protein — like, say, a turkey sandwich — to quell those negative effects. While most of these individual ingredients aren’t all that bad for us, they’re a cheese-dust-covered grenade when consumed together. “The more you mess with food, the more you’re demanding your immune system to figure out what the heck all these new things are — and it can make mistakes,” Shanahan says. For instance, studies show that overprocessed foods have contributed to the rise in food allergies in Western countries. Who would’ve thought corn drippings could be so dangerous?